Prof Dr Rosli Mahmood has an accomplished career in the academics for more than 30 years. He obtained his PhD from the University of Glasgow in the field of entrepreneurship and small business, an MBA from Saint Louis University in Missouri and received his Bachelor of Science (Finance) from Southern Illinois University at Carbondale, Illinois, United States. A highly competent and dependable PhD supervisor, he has successfully produced more than 60 doctoral graduates while hundreds more benefited from his guidance and tutorship. He has an innate ability to motivate students to achieve their potentials and incite them to reach their next level of success. 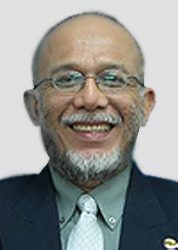 Prof Dr Rosli also has extensive experience as a PhD thesis examiner and had participated in more than 50 doctoral viva voce both locally and abroad. He is an experienced reviewer for established international and local journals, and has authored and co-authored books in the field entrepreneurship, management, banking and international finance.